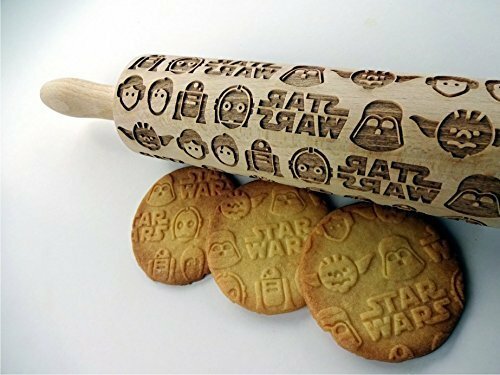 Our Star Wars Cookie Rolling Pin embossed with well-known Star Wars characters can be a part of your kitchen or engraved keepsakes. They make a unique and touching gift for any person, family or occasion. Perfect for birthdays, house-warming, Christmas, Mother’s Day or special occasion. They can even be given out as wedding favors for bridesmaids, groomsmen or couples. Baking with embossing rolling pin can be a fun, especially for kids! 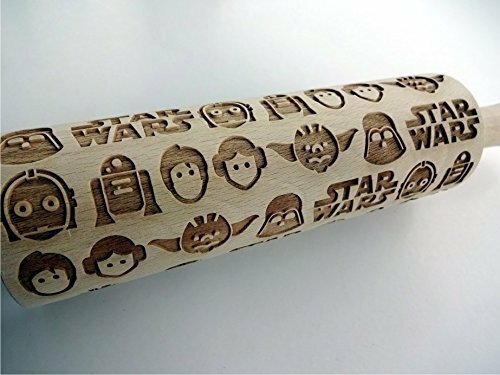 Hundred of trials were made and hundreds of different recipe cookies were baked until we found the best patterns and created the best design for the rolling pin to get well embossed. The cookies created are simply stunning and beautiful. 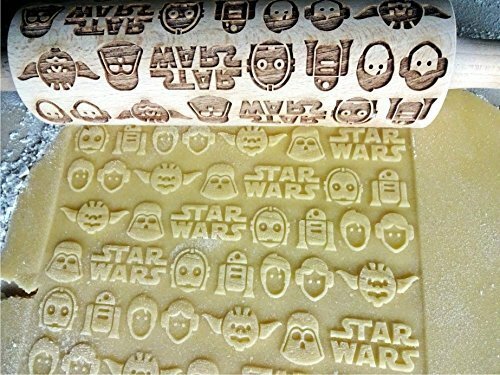 The embossed characters include the famous Darth Vader, Princess Leia, C3P0, R2D2, Yoda and Luke Skywalker. 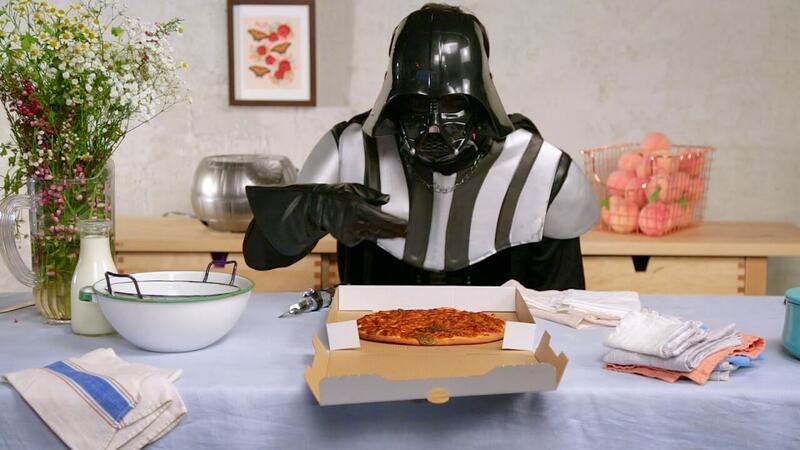 Try something different, how about a pie encrusted with Star Wars characters? Or Star Wars pastry? Let you creative juices flow. Pair this up with our silicone mold set, and you will be the star of your party. The rolling pins are traditional and optimum size with big surface of engraving. The measure is 15.8″ (40 cm) with handles, embossing part 7.5″ (19cm), diameter 2.4” (6 cm).